He was an Assistant Professor of Paediatrics and Consultant Paediatrician at ASTER WIMS Hospital, Kerala. He completed his MBBS from UCMS Teaching Hospital, Institute of Medicine, Thribhuvan University, Kathmandu, Nepal in December 2006. And later passed the Foreign Medical Graduates Examination (FMGE), conducted by National Board Of Examination, New Delhi, India in March 2008. Further he completed Post Graduation (MD Paediatrics) from VMKVMCH Salem, Tamilnadu in 2012. 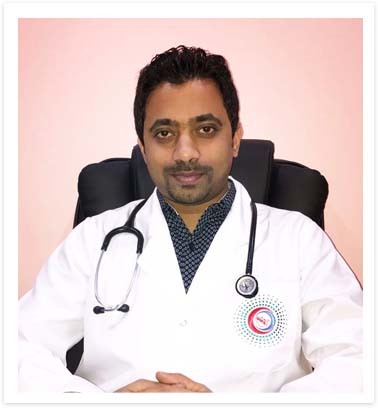 He is trained in major Paediatric Super Speciality Departments like Paediatric Cardiology, Gastroenterology, Nephrology, Hemato-oncology, Psychiatry and Neonatology from Institute of Child Health, Madras Medical College, Chennai, India and he has also acquired training in Paediatric Advanced Life Support (PALS) in accordance with the standard of American Heart Association. He has worked with leading hospitals like MPM clinic, Vazhakala, Cochin and Sri Ramachandra Medical College and Research Institute (SRMC & RI), Porur, Chennai,India. While at (SRMC & RI) Dr.Mohan has been Faculty for training undergraduate (MBBS) and Post Graduate(MD) students for four years , he was also a Faculty for National level Paediatric and Neonatal Ventilation workshop and has also been Organizing Secretary for CME on “Child Psychiatry for Paediatric Education” that was conducted there in 2015. An extensive clinical experience of handling various spectrums in the Paediatric department has provided him the expertise to handle Paediatric out patients and all Paediatric emergencies and critical care scenarios including invasive and non-invasive ventilatory support, Paediatric procedures like endotracheal intubation, peripheral venous access, central venous catheterization, peripherally inserted central catheter (PICC), arterial access for invasive monitoring, intra-osseous access, bone marrow aspiration/biopsy, lumbar puncture, Bed Side ultrasonography, Paediatric procedural analgesia and sedation etc. He holds Special Interests in the fields of General Paediatrics, Paediatric Emergency and Critical Care, Child Psychiatry and Neuro-Rehabilitation. His linguistic richness enables him to converse in English, Hindi, Malayalam, Tamil and Nepali.